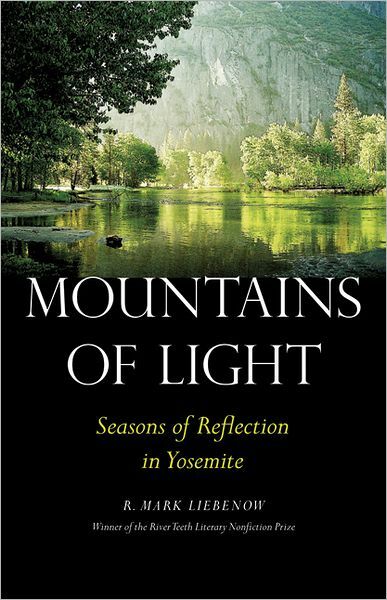 A quiet, moving memoir of grief and recovery set in the Yosemite Valley. Mountains of Light is lyrical and decidedly literary. Liebenow’s focus drifts: he describes a mountain vista, waxes mystical about the roles that insects and waterfalls and clouds play in the universe, quotes poetry (and Muir), confers with cutting-edge science and remembers his late wife. He includes morsels of history (particularly of Yosemite, from Native Americans through the Mariposa Battalion to the present) and catalogues plant and animal life. He considers various religious and spiritual understandings of nature and death and the mountains, mulling over his options for accepting his tragedy. The background for all this musing is dynamic, as Liebenow takes challenging hikes, explores, gets lost in the wilderness and watches his fellow campers and mountain climbers take still greater risks. The scenery changes drastically in four seasons, which Liebenow interprets metaphorically. Part travelogue, part natural study and part memoir of grief, Mountains of Light is meditative, lovely, thought-provoking and, yes, sad–but worth it for the appreciation of this natural gem and the redemption it brings. This review originally ran in the March 9, 2012 issue of Shelf Awareness for Readers. To subscribe, click here, and you’ll receive two issues per week of book reviews and other bookish fun! Please note that this book makes a fine readalike for Fire Season or Edward Abbey’s Desert Solitaire. And look at that lovely cover, too! Rating: 6 moments of contemplation.